There are many safety hazards in the construction industry, no matter the time of year. Keeping workers safe is always a top priority. How employers manage to do that depends on the season and location. In the summer and warmer climate areas, employers focus on protecting workers from such issues as sun and heat. During the winter and colder climate areas, employers must consider extreme cold, high winds, and often, a heightened chance of slipping and falling. Limit exposure to the elements. When the wind and snow are blowing and temperatures are obscenely low, it can be hard to reduce exposure to workers. The human body isn’t made to be outdoors in these elements for long periods of time, so schedule outside work in shorter durations. Consider breaking up larger projects into smaller tasks. Keep track of weather forecasts. A worst case scenario is that an employer sends workers out to a job site the day a blizzard blows into town. Employers should watch the local weather and check the National Weather Service. Know when temperatures and conditions could make outside work dangerous. Provide a warm break area. Outside work is necessary for the construction industry, but workers need a place to take a break from the elements and warm themselves. It can be a heated trailer or a tent with portable heaters. Employers should also be sure supervisors and workers follow proper safety procedures with heating devices. Discourage coffee. Workers may feel like they need their coffee, but beverages with caffeine can increase workers’ heart rates and make them feel falsely warm. Instead, encourage workers to drink water. Require proper gear. Workers need to have the right clothing for severe weather, including boots, heavy coats, gloves and hats. 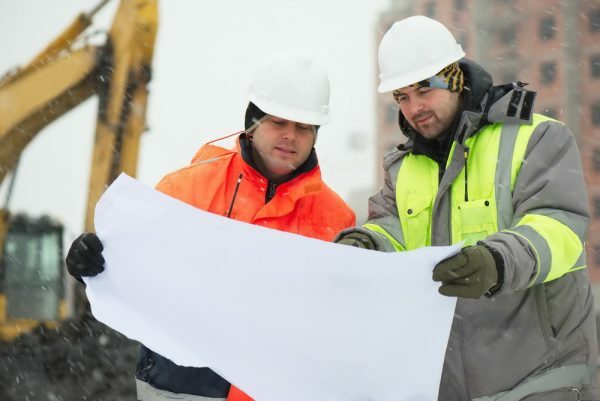 Employers should require all workers to wear clothing that will keep them warm and dry to prevent hypothermia and frostbite. Also, shoes should have nonslip soles to prevent falling. Review work sites everyday. Before work begins, supervisors should review the area to ensure no new hazards have formed while workers were away. Common hazards are snow and ice accumulation or downed power lines and trees. Remove snow and ice. Workers don’t need to deal with snow and ice while they work in addition to extreme low temperatures. Before work is started on a site, employers should ensure snow is removed, salt or sand is put down and large patches of ice are chipped away. It may be a hassle, but making these efforts will greatly reduce the risk of injury. Kitty litter is also a great way to make paths and walkways safer by improving traction. Inspect and prepare vehicles. Before heading into the cold season, all work vehicles should be inspected to determine if they are fully functioning. Employers should also add winter emergency kits to work vehicles. These kits should include an ice scraper, snow brush, shovel, tow chain, flashlight with extra batteries, emergency flares, a blanket, snacks and water. Educate workers on what to do if they are stranded in a vehicle. Having a vehicle not start or getting into a crash takes on added serious consequences when it occurs during severe weather. Employers should ensure all workers know what to do and who to call if they are stranded in a vehicle. Educate workers on the signs of frostbite and hypothermia. Even when employers do everything they can to protect workers, issues can still arise. Supervisors and workers need to know the symptoms of hypothermia and frostbite so that if anyone shows these signs, they can receive immediate medical attention. As always, Border States provides industry information in its weekly blog recap newsletter. Sign up today to receive the latest information for the construction, industrial and utility industries. 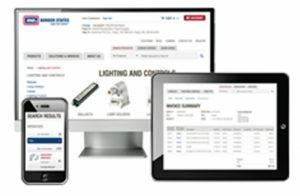 Call and let us help meet all of your product and solution needs (1-866-483-7289). Great post! Thanks for sharing these safety tips for construction workers, Keep sharing more blogs with more helpful information.